panorama on a wide landscape bocage horizon. The town origin goes back from the 11th century. It is around 1010 that the first fortification was erected, on a sandstone promontory which overlooks the gorges of the Varenne. Surrounded with deep moats, this formidable fortress was surrounded by an enclosure wall by Guillaume de TALVAS. Are left the remains of the front door put side by side on the keep. In the shelter of its walls were conserved: treasures, records and arms. 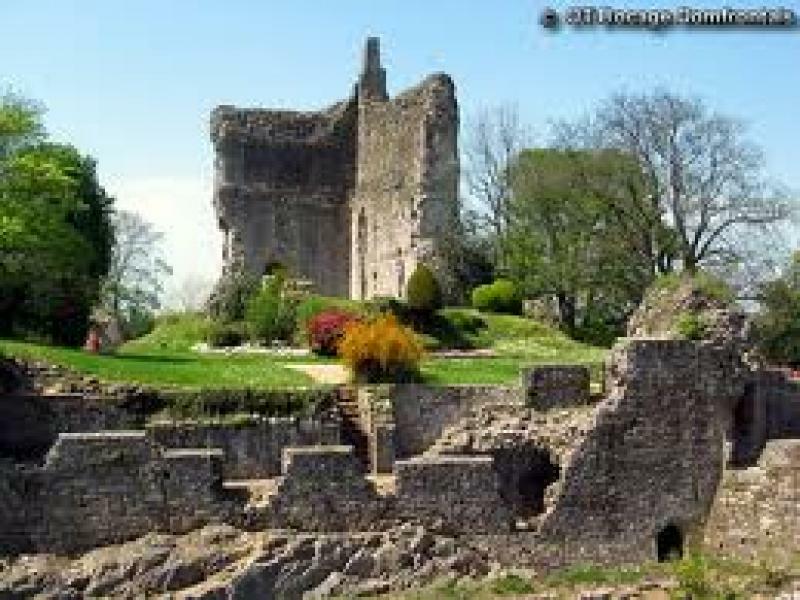 With an undeniable strategic position, Domfront castle has been, for several centuries, one of the strongest keeps in FRANCE.